There’s no way to sugar coat this, and no reason to do so, most coaching families don’t bring in huge salaries. The reality is many coaching households are two income families out of necessity. 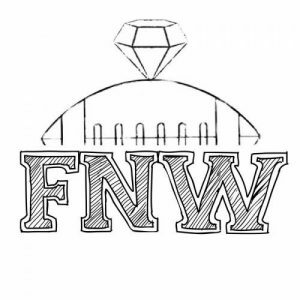 Our industry isn’t the only one where this is common, but the assumption from fans is that football coaches live comfortable lifestyles and it just isn’t the case for most. One of the most expensive times of the year is Christmas, and the strain can intensify when it’s also the year your family is moving. 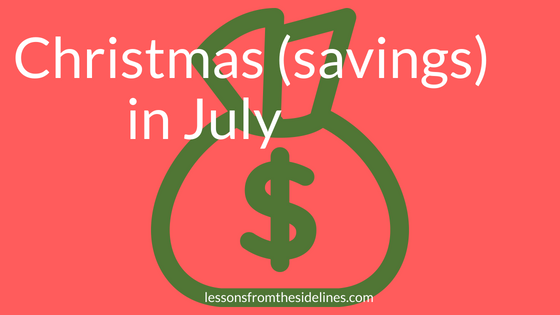 I’ve learned that implementing a few simple strategies on stacking rewards can help me save even more money for Christmas year round. The great thing is that there are always new apps and ideas developing! I’ve updated my post from December with a few new ideas. By the way, there may be an affiliate link or two included. By clicking the link we both benefit! I started utilizing Walmart grocery pick up out of necessity. I needed to find more hours in my weeks and one of the major time and money absorbers is the grocery store. I love the ability to order groceries online and avoid the store, but I’ve also figured out how to maximize my savings. I order online instead of through the app and activate Swagbucks for 2% savings. I pay with our Amazon credit card which earns 5% back in Amazon credit. I submit each receipt to savings catcher through the Walmart App. This system has earned an average of $50 back each month for us. My sister-in-law is always one to find a great deal, and she passed along Fetch Rewards last January. I like to try things out before recommending them, and now that I’m several months in I’m happy to report that this is better than Ibotta! Kohl’s is one of my favorite places to shop these days. I have a Kohl’s credit card, and I’m in their rewards program called Yes2You Rewards. I can earn Ibotta money back by shopping through the Kohl’s app on my phone for additional savings as well. Kohl’s Cash, Kohl’s rewards, and Kohl’s percentages off can be stacked on top of each other. Additionally, there are often additional online deals. While selection can become limited, when choosing store pick up instead of shipping you can save almost $9 on your online order if it’s less than $75. Kohl’s prices on stables like underwear, socks, t-shirts, and workout clothes are often the same prices as Walmart and Target. I also love their athletic shoes and business casual clothes. Their clearance section is awesome too. I’m personally obsessed with Lauren Conrad’s brand! My guys love that they can get their favorite brands like Nike and Under Armour. I keep a running list on Google Keep of all the things we need to buy. With growing boys there is always SOMETHING they need replacing! When an email comes through with a sale or promotion, I compare to my list to see if anything aligns. This strategy also works with Christmas gifts. If you know you will be buying your impossible to buy for friend a cute sweater this year get it in October if the deal is right! If you prefer to shop online instead of through an app Swagbucks also gives a percentage back for shopping at Kohl’s. I’m still using many of the ideas I highlighted in December. Check out how I use Smore, Sweatcoin, Achievement, MyPoints and Harris Poll here! But I’ve taken Swagbucks and MyPoints one step further. I downloaded both apps onto my phone and while I’m working I take time each day to watch videos. Each of these apps has a points cap that can be earned each day, so the commitment is minimal but while I’m working or cleaning I can also be earning points which translates to extra cash! I’m always looking for new ideas. 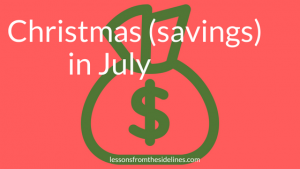 I’d love to hear your favorite money-saving strategies. Last weekend Ordell and I traveled 6 hours to meet up with several coaching families for two days. 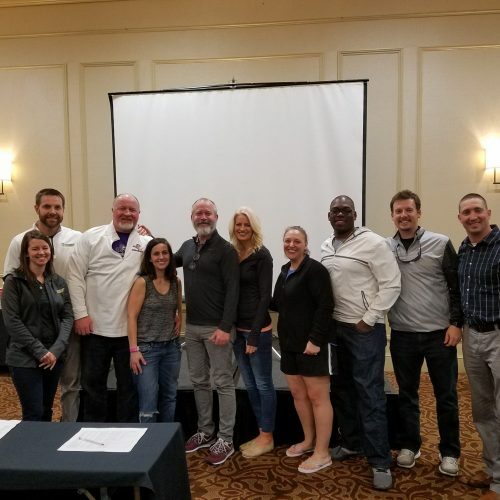 While he spent most of two days listening to presentations, gathering information about football formations, strength training ideas and other strategies I caught up with friends we hadn’t seen in several years. As we compared notes on our teams, kids, moving experiences and jobs I couldn’t help but smile at how quickly our group fell back into easy conversation. There are always exceptions to the rules, but I’ve learned that 99% of the time distance does not impede coaching families’ desire to support each other. Whether it’s late night phone calls, group texts, watching games online or traveling on a bye-week to cheer from the stands for other teams, coaching families celebrate and mourn with each other even after we depart for different staffs. As great as it is to stay in touch with those we used to be on staff with or once coached, nothing compares to uninterrupted time laughing and reflecting on crazy adventures lived together. For many in this group, our early coaching experiences were influenced by the opportunity to be on staff under the couple in the center. It’s been 15 years since we left Andy’s staff and even though he’s now easily identified by his silver beard, I’ll always remember the day he was named head coach of my now alma mater. Andy recently celebrated his 50th birthday and as part of that celebration, our group took time to reflect on our how life timelines have been directly influenced by Andy’s decisions. This group spent much of our 20’s and early 30’s together either as coach/player or on coaching staffs together. Between us there have been 23 coaching jobs (at least) which have covered 7 states. We’ve had amazing seasons and terrible ones. At one point while four of the families here were on staff together we averaged someone having a new baby every 6 months. The memories are great, but the legacy cannot be ignored. Andy took a risk with each of these men when he hired them. He took a risk when he created space for us to all learn as dating, engaged and newlywed couples. For Ordell and I, our relationship with Andy and Betsy began when we were still college students, and included two short windows on staff. My story is unique because I was an athletic training student and served Andy’s football teams for a few years. Andy and Betsy modeled life both on and off the field. We watched them make hard decisions for their family. We watched them pursue the Lord together and individually. Mostly, we experienced life together through meals, games, bus rides and prayer. Our experience was such a positive one that years later their influence is still easily identified in our current team and staff interactions even with our individual adaptations. Ordell and I may have a unique story about our time under Andy’s leadership, but similar stories can be told by each family represented here as well as many others not pictured. Andy is an example of how the impact of a coach extends well beyond the games he coaches. 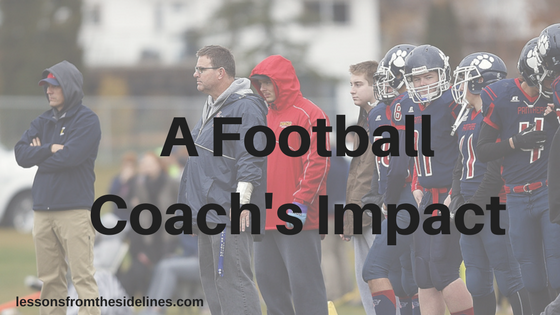 There has been a lot said about how a coach influences his players, but it extends further. A head coach models for his staff how to treat their wives and children. He sets the tone for the discipline of players as well as community interactions. As his staff learns by observing him and working directly with him their personal coaching philosophies are formed. 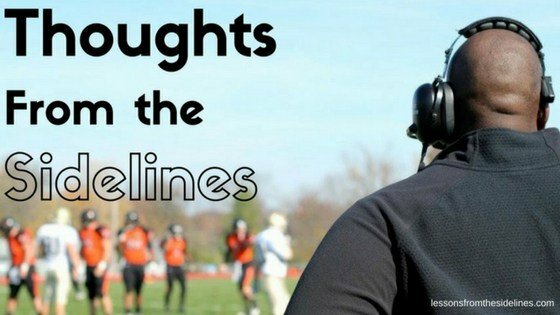 Just as a coach’s influence will help young coaching families learn how to survive the football life he can just as easily model how not do things. We’ve worked with those coaches too. But it is Andy to receives our credit and appreciation for all that has transpired the last two decades. It may seem crazy that Ordell and I would drive 12 hours in a weekend to spend time with this group, but we wouldn’t have it any other way. It’s great to know there are people who understand you without having to explain things, but to sit with them for even a few hours in person is worth the investment. To get to celebrate Andy for a few minutes was the icing on the cake of an amazing time away. Sometimes the best thing you can do for yourself moving forward is to remember how far you’ve come and acknowledge those that helped you along the way. It’s worth it to do so, even if it takes a 6-hour drive to do it in person. I’ve written a good amount about moving. You can read more here, here and here. Every move has brought challenges and celebrations for our family. I’ve learned we all process change and transition differently and in our own time. This can make for a tense household and requires a lot of communication. 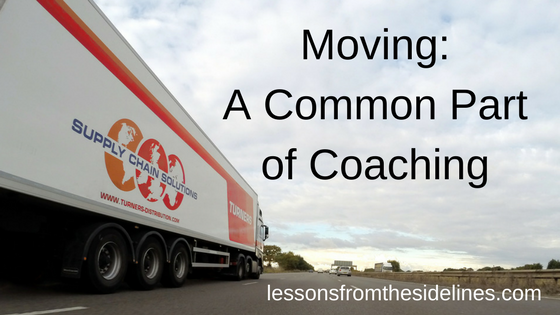 As common as moving is for a coaching family, no two moves will look the same. We can gather lists of resources and become the queen of minimalism and organization and still have the move filled with utter chaos. Other times the physical part of moving works perfectly while the emotional destruction of a heart shattered from disappointment is never fully repaired. Moving is especially trying for us coaches’ wives. Our husbands will have work stress, but they are only trading one stress for another. Their routines and roles are often familiar. For the kids moves are hard. Even though our sons knew this most recent move was for their benefit, they craved familiarity over the loneliness that comes with being the new kid once again. These challenges are important, but a wife carries a much more extensive burden on her shoulders with each move. Often a wife finds housing, organizes the move, and sets up the home with minimal help. While Coach heads off to begin his new job, a wife is left to wrap up loose ends and say goodbyes. Often wives must also find new employment. While it’s common for coaches to list multiple jobs, many employers see hiring a coach’s wife as risky. She may leave a few months into the job. When kids are involved, it is the wife who finds new doctors, new activities, and tracks down all the paperwork and documentation each new school requires. The wife is the one who is interacting with the new community the most. The coach is busy on the recruiting trail or practice field, so the wife is the one who will make introductions for the family. Finding new stores, new routines, new roles while still working to keep some familiarity present for kids who don’t know how to leave the past behind is most often a balancing act shouldered by a coach’s wife. This list left alone may make it seem as if moving is always a negative experience. I assure you this is not the case. Many moves are made as coaches receive promotions. Other times staffs move together, so there are wives to figure things out alongside. Every community is different so when you enter one what welcomes your presence embrace it! You are likely in a place that has many transplants to the area, those who understand the challenges of moving. Listen to their experiences, what they learned from their moves to town, and take note. This doesn’t mean you need to do what others before you have done. It simply means you have an opportunity to learn about your new community from one who was once in your shoes. Each move includes clearing the calendar. Even when you work remotely, everything else will take time to add back in. This is a great time to evaluate previous commitments and restructure the calendar. Take time to get to know the new staff. Go in with an open mind and be yourself. Consider speaking with a counselor. This is something that can be accomplished online. As you pack you likely purged, don’t be afraid to do this while unpacking too! Less clutter will help you feel calmer. Lean into your support network, even if they aren’t physically present. This may mean asking your in-laws to come help you unpack, or reaching out to a trusted coach’s wife who understands your season of life. Spend time focusing on yourself. Additional calendar space means you have more time to workout. Find a yoga class or pull up a YouTube video. Take a walk through your new neighborhood, or relax at a local coffee shop. 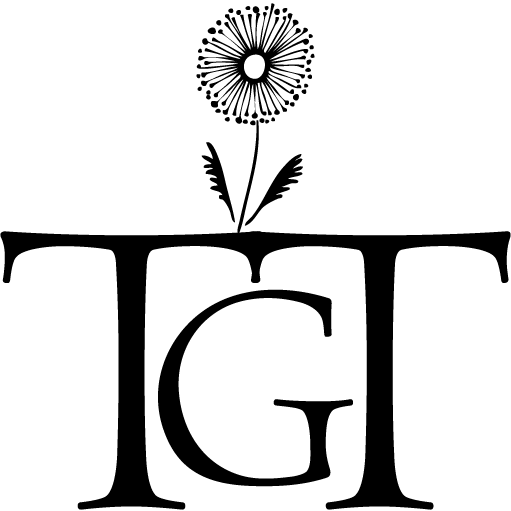 Reach out to your network and see if anyone has an acquaintance they can introduce you to early in your transition. This person doesn’t need to become your best friend, but a local community member will have great recommendations on everything from dry cleaners to doctors. As your calendar fills up, strive to make every yes an intentional one. This will help you from having to back away from things later. Moving is a common part of the coaching life, but it doesn’t have to be the thing that defines your experiences. Give yourself the grace to process your emotions. Understand it will take time to feel settled again. Don’t force things; they happen for everyone, it just takes longer with some moves than others.